interesting insights and anecdotes about the English Language. This e-mail is only the first one out of a series of e-mails I’ll be sending your way. I would be very happy to get your feedback with any comments or questions you might have. Let’s get started with today’s topic…Plural Nouns! Making plural nouns is simple: 1 computer - 2 computers. Pretty straightforward, right? When it comes to making nouns plural, there are no clear-cut rules. If the plural of box is boxes, why is the plural of ox - oxen? If the plural of safe is safes, why is the plural of wife- wives? If 1 goose becomes 2 geese, why doesn’t 1 moose become 2 “meese”? How do I know what the plural form of each noun is? You may wonder. 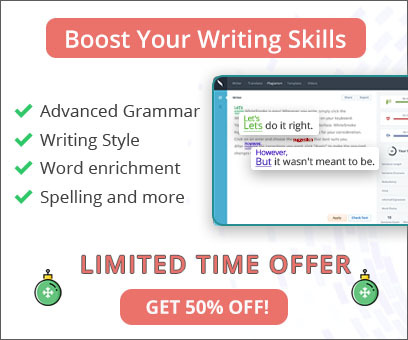 Writer, the most comprehensive English grammar, punctuation and style checker in the world today, will make your life a lot easier. 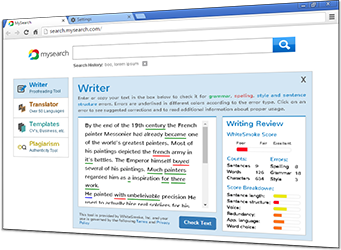 WhiteSmoke Writer will automatically correct your plural forms in case they are incorrect.